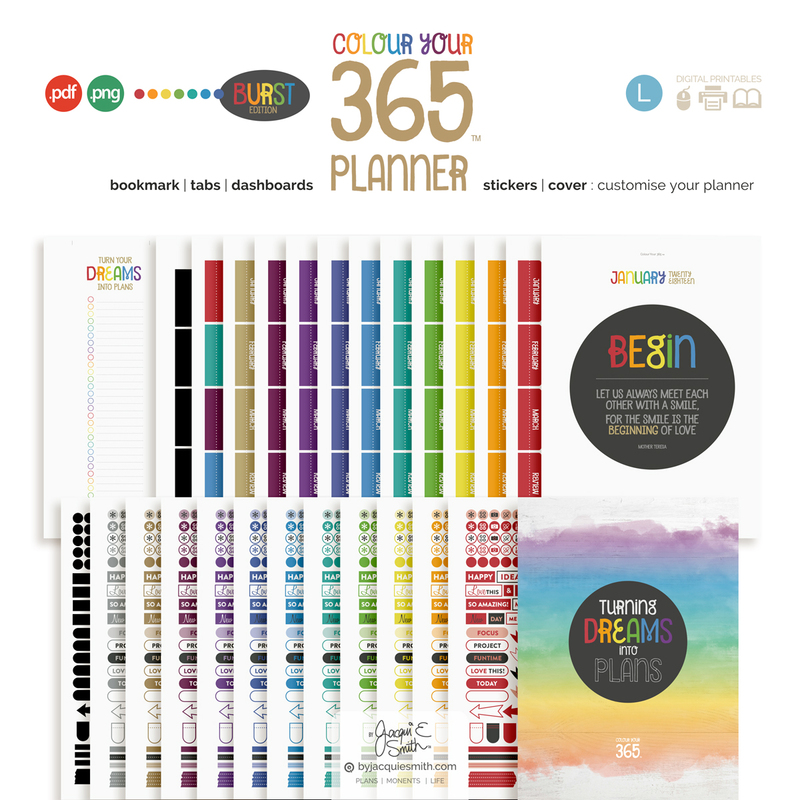 • Bursting with inspiration + colour! 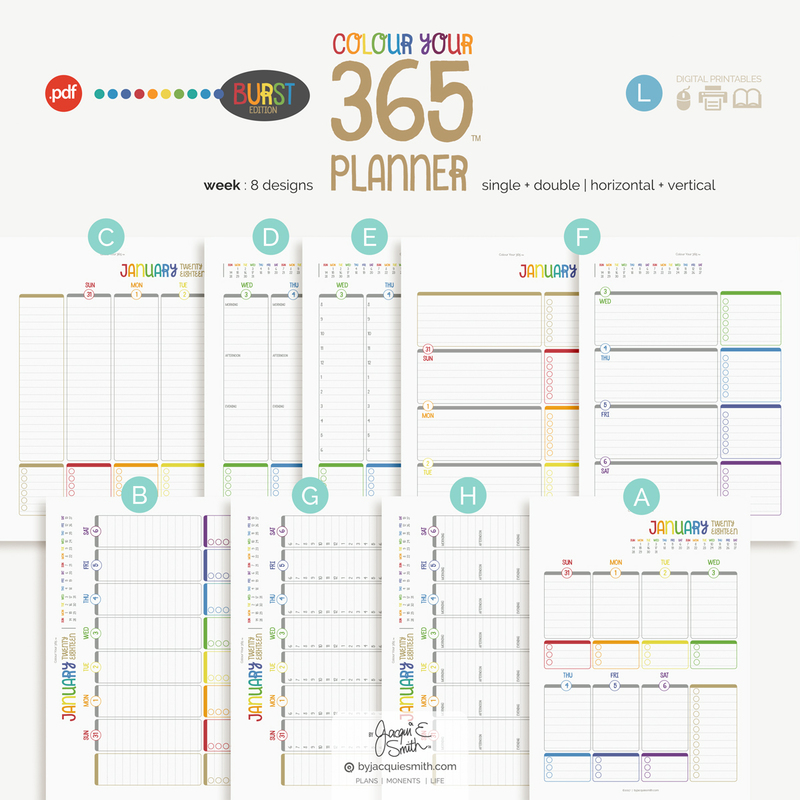 The Colour Your 365 planner (est. 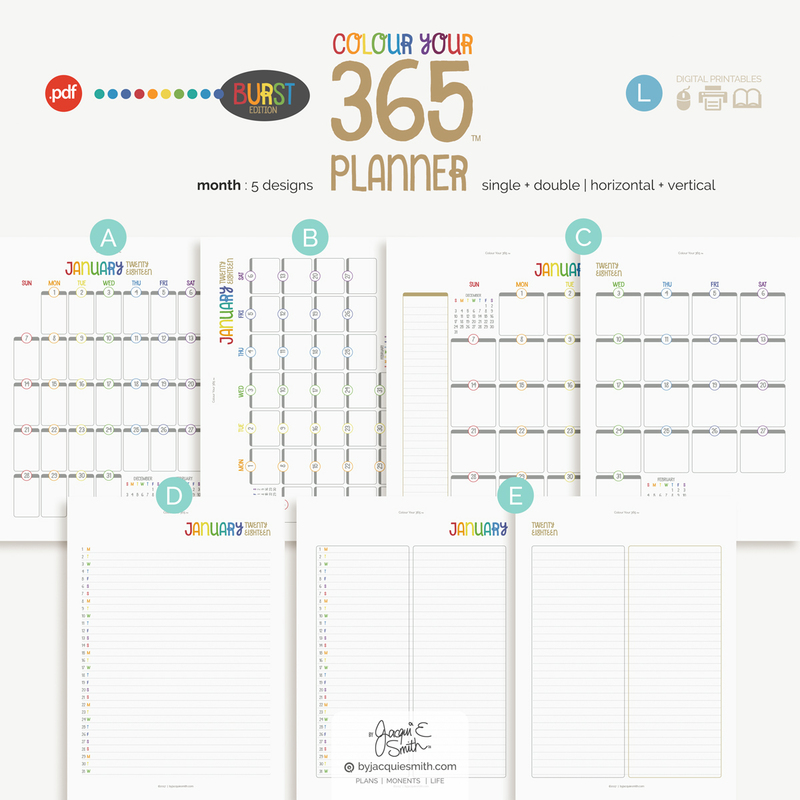 2014) has all the favourites + new features for 2018! 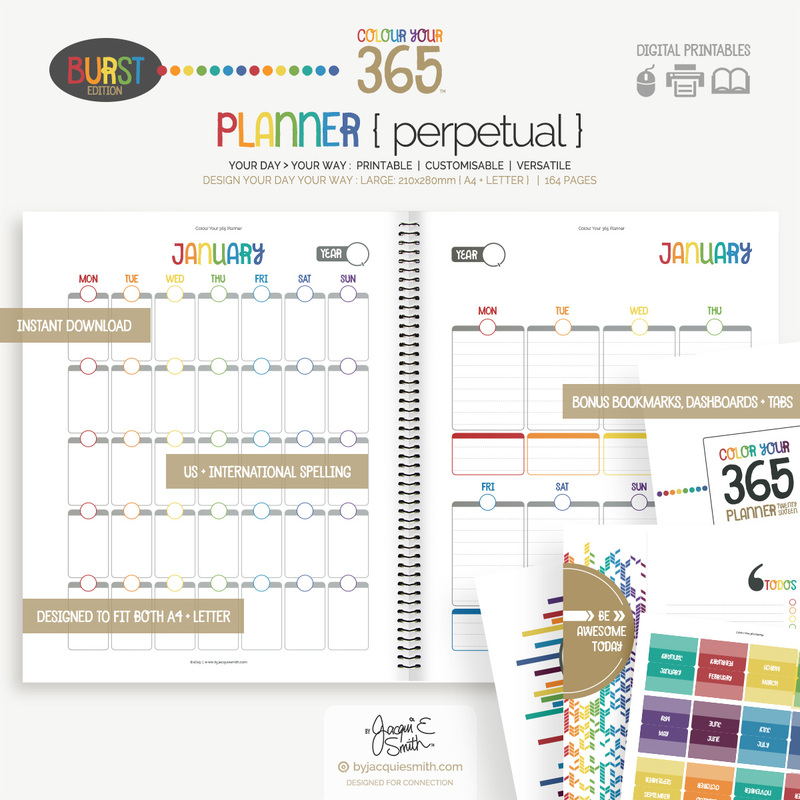 >>> a burst of style + inspiration all rolled into a delicious color-filled planner. 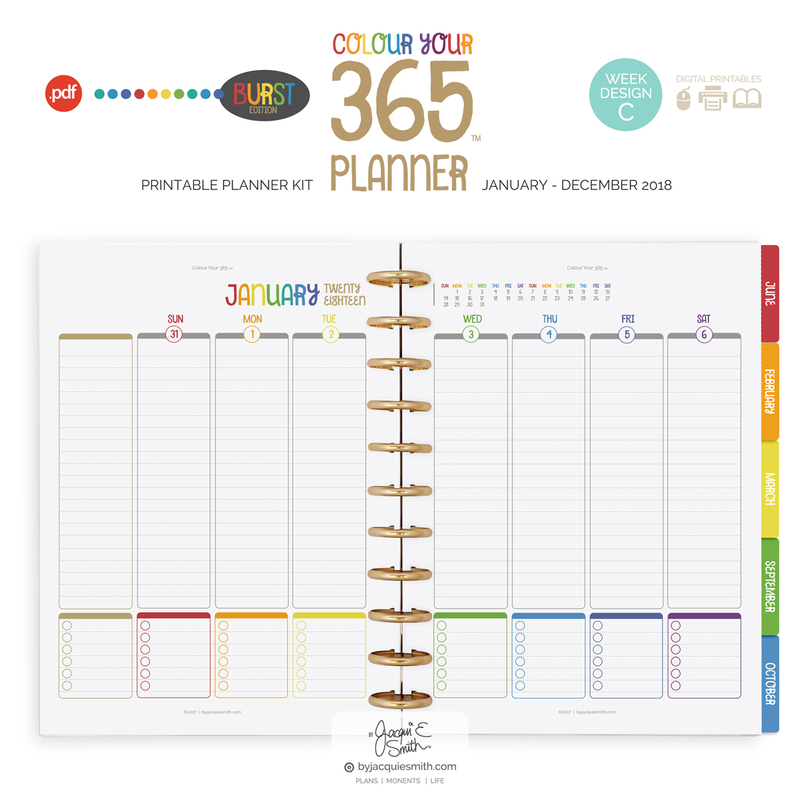 ♥️ Colour Your 365 allows you to create a planner that’s truly unique to you! 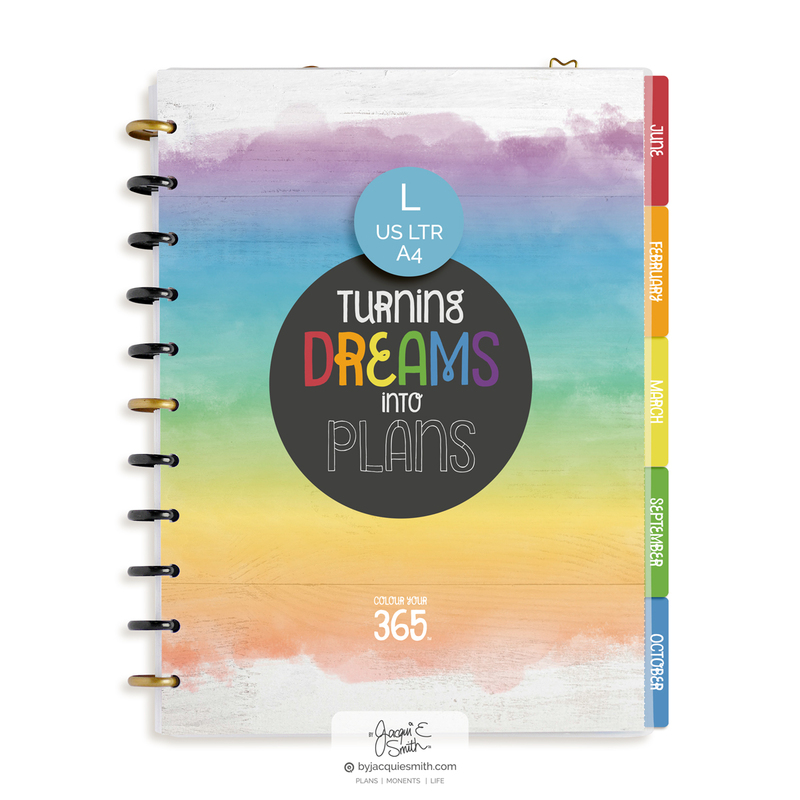 ♥️ Be guided to success in your beautiful custom planner as you turn your dreams into plans! 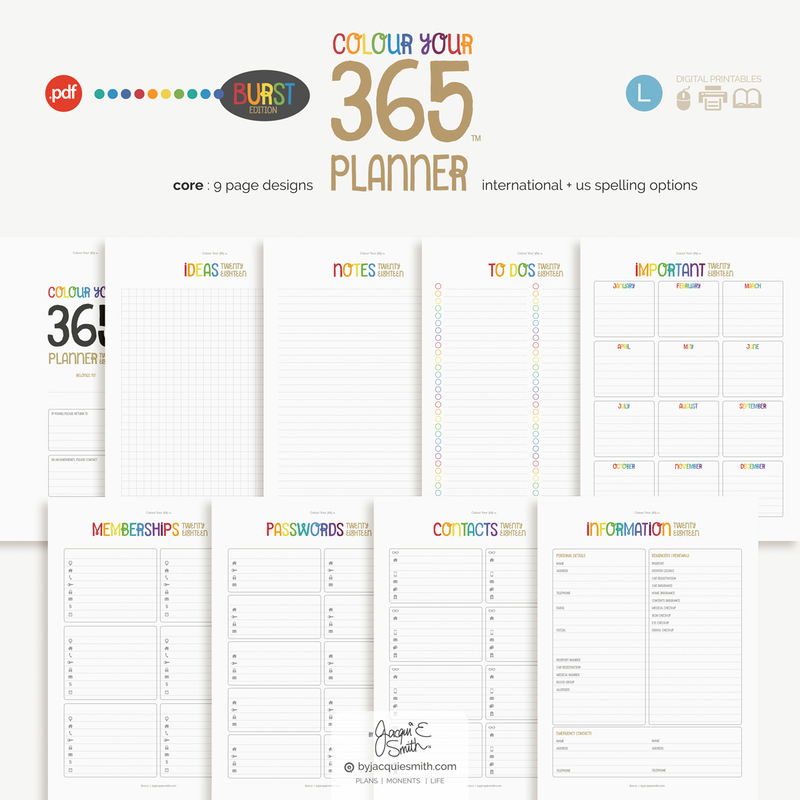 Available in two popular sizes : medium + large, with US + International spelling options. 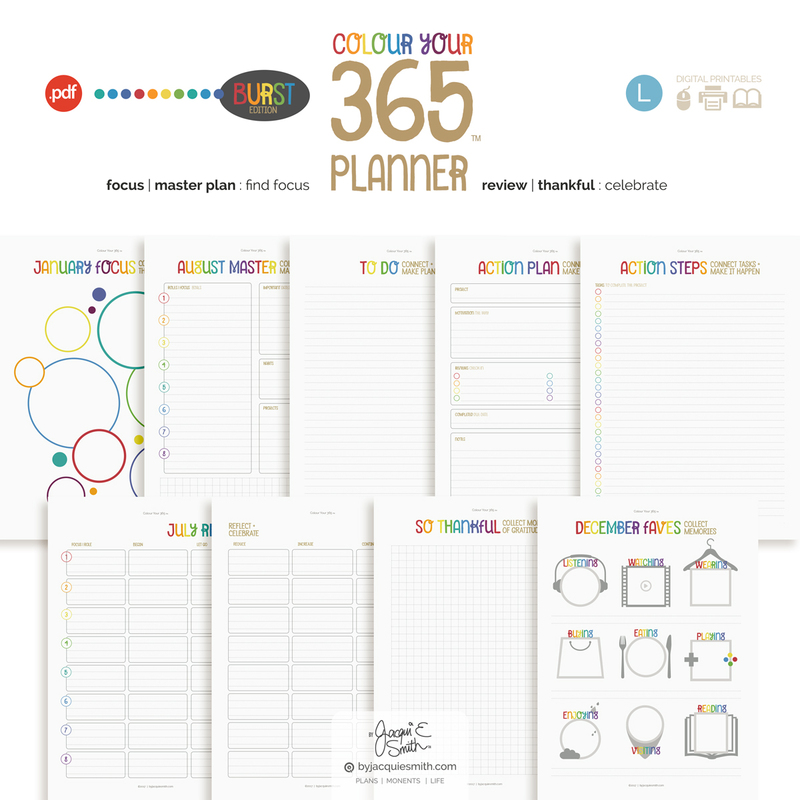 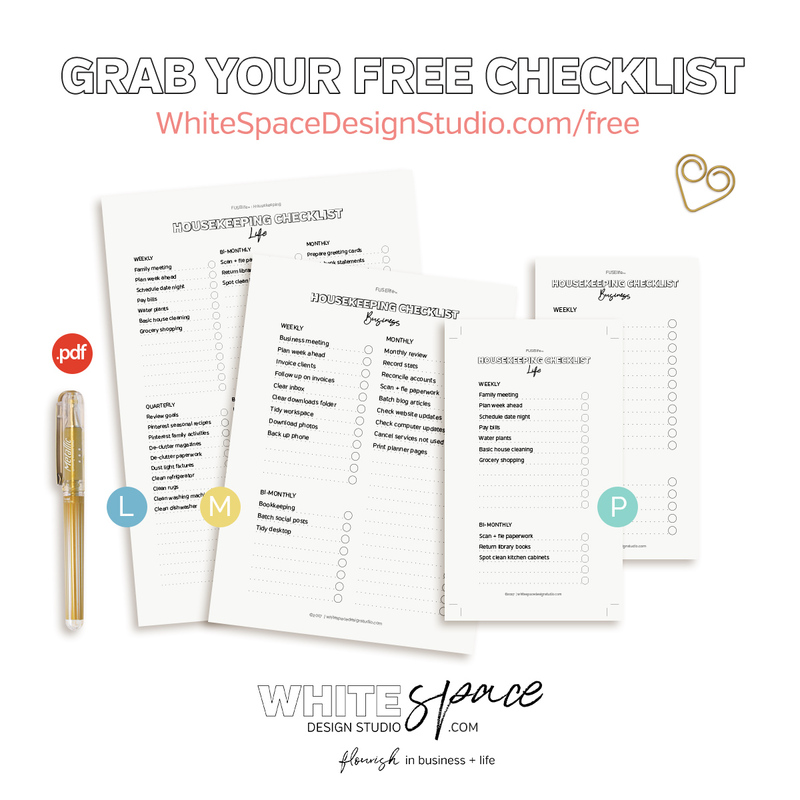 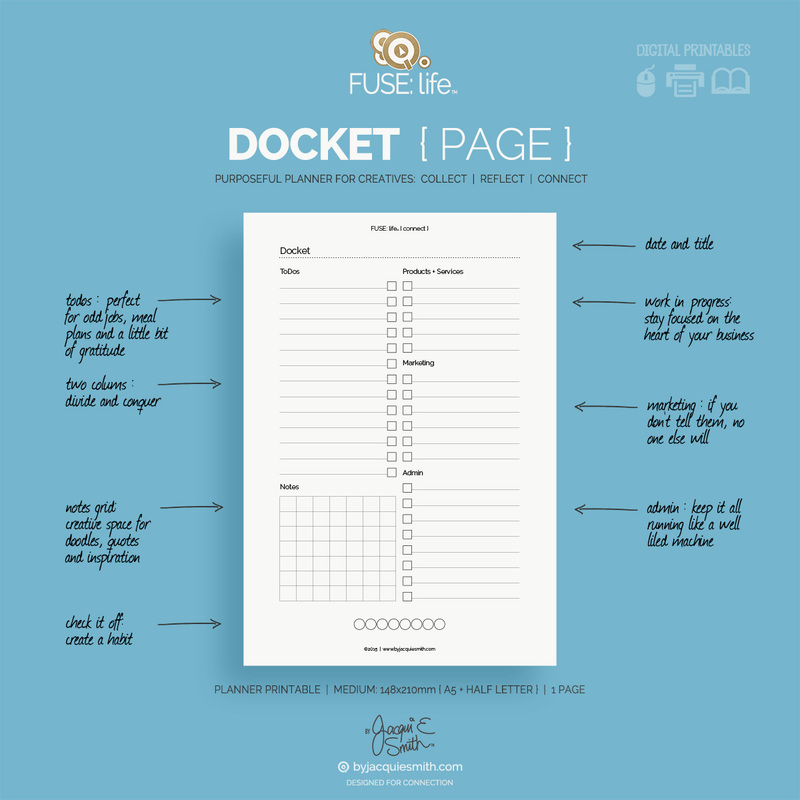 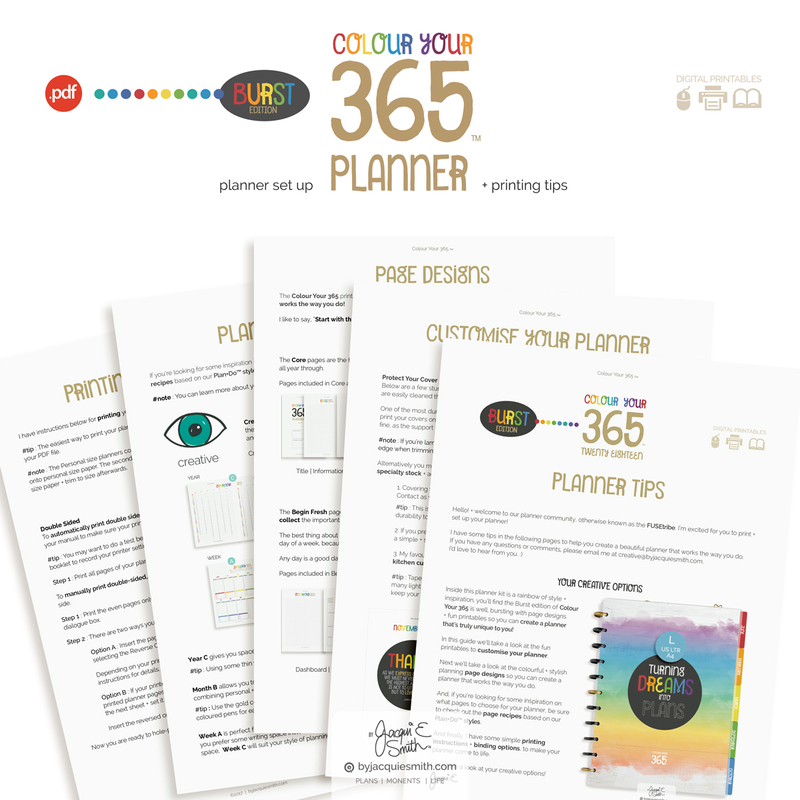 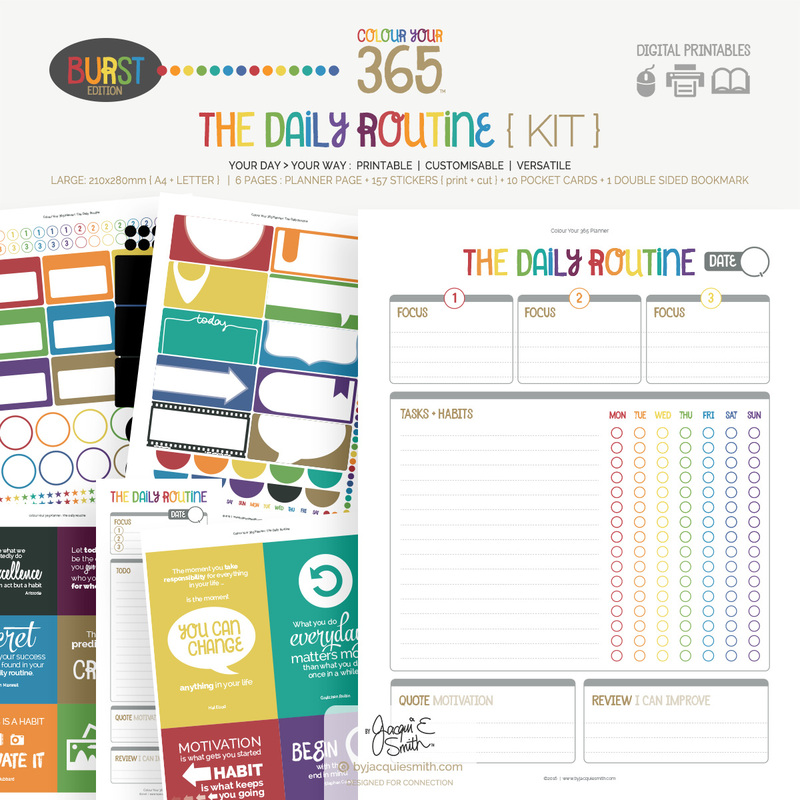 The large Colour Your 365 printable planner kit includes 30 PDF planner packs, ready to print + plan your day. 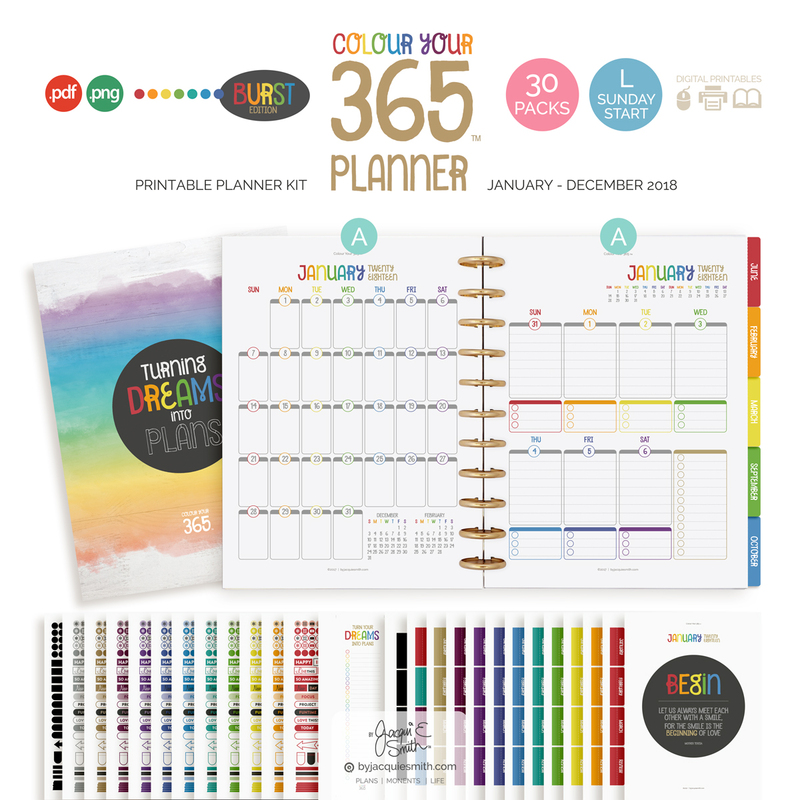 >>> Also included is a BONUS planner set up + printing tips guide with planner page recipes + handy insider information about printing, binding, cutting stickers + more.